With our new Group Drives feature an administrator can present “personal” storage locations to other users, offering complete oversight and giving managers, team leaders or educators the ability to review users’ documents no matter where they are stored. Before the advent of cloud storage, personal storage usually meant a home folder living on a local file server. This type of setup offered fantastic scope for administrative oversight. Should an administrator wish to provide other users with access to a home folder – or groups of home folders – they only needed to give them access to the underlying share. Why would this be of any benefit? Well let’s take education as an example (although the benefits of Group Drives are just as applicable within a commercial setting). A teacher may want to check students’ home folders to see whether they have completed today’s assignment. Doing so with SMB home folders is fairly simple, but what if the students work is in Google Drive? Or OneDrive? Or perhaps there is no root share for the SMB home folders. Well, Foldr Group Drives can help! So how do these Foldr Group Drives work? Any member of the Teachers group can sign in and browse the storage belonging to all users in the Students group within the context of the students themselves. 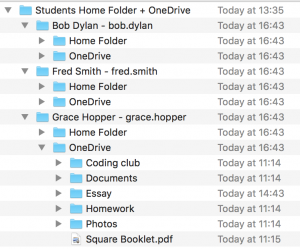 And since almost everything in Foldr can be configured with granular access rights the permissions that the Teachers group have over the files and folders within the Group Drive are entirely customisable. 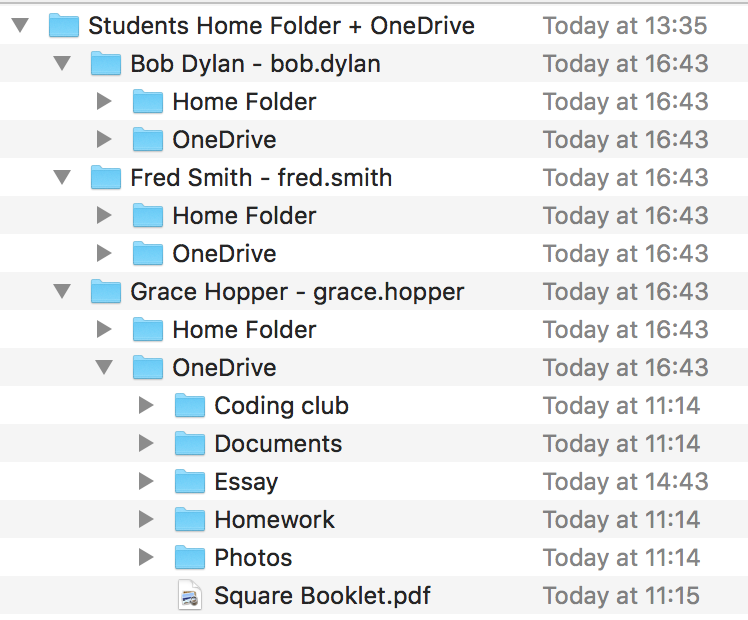 So they can just have read access to browse and view files or they can be give full read/write allowing them to hand files back directly into the students’ folders. Foldr Group Drives are available on Foldr Server 4.11 and above. If you haven’t already updated then now’s the time to do so. You can find out more about configuring Group Drives on our knowledge base. If you’re not yet using Foldr but would like to test the power of Group Drives with your local, cloud or hybrid storage then get in touch or request a free trial now.